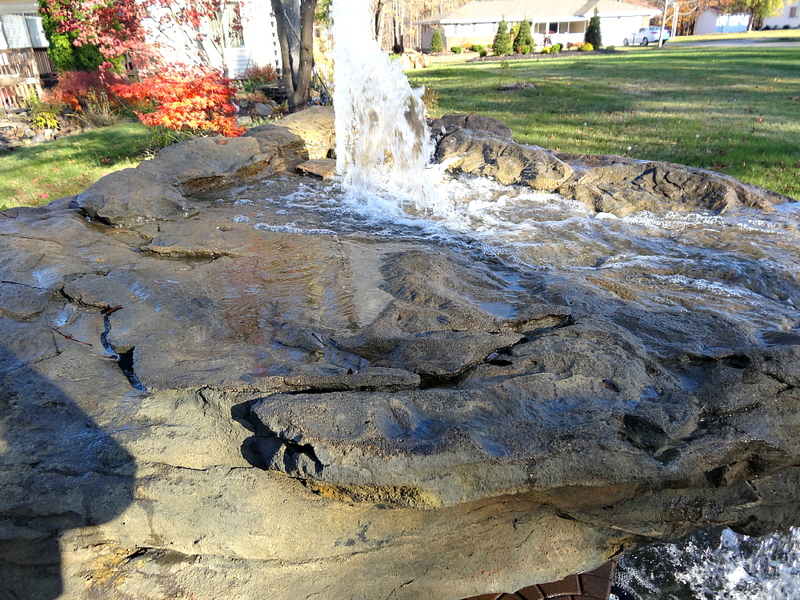 Looking for a very large water feature or fountain for your backyard or swimming pool landscape? May we at Everything Waterfalls, suggest our massive grotto waterfalls rocks. 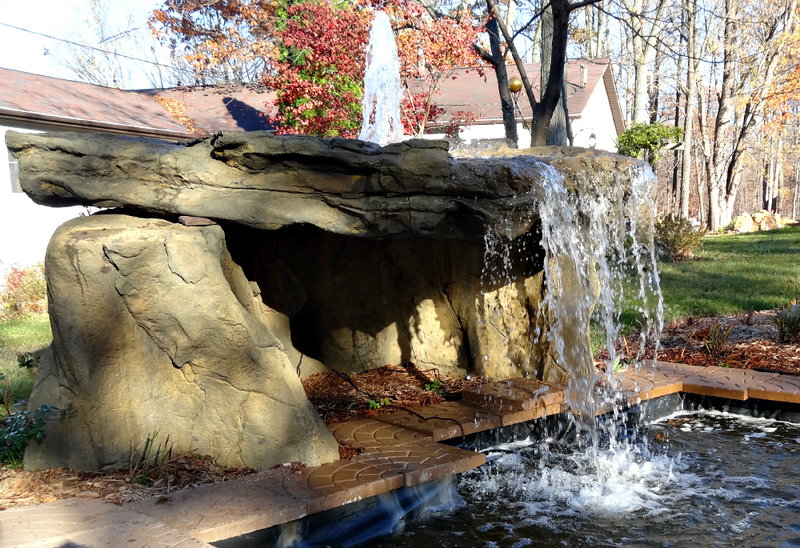 Here in our spectacular outdoor showroom of a garden of waterfalls, we feature the extreme of all backyard waterfalls, the Grotto. The Grotto waterfalls is a three piece rock formation that weighs about 400 pounds which is just a fraction of the estimated 30,000 pounds of real rocks. 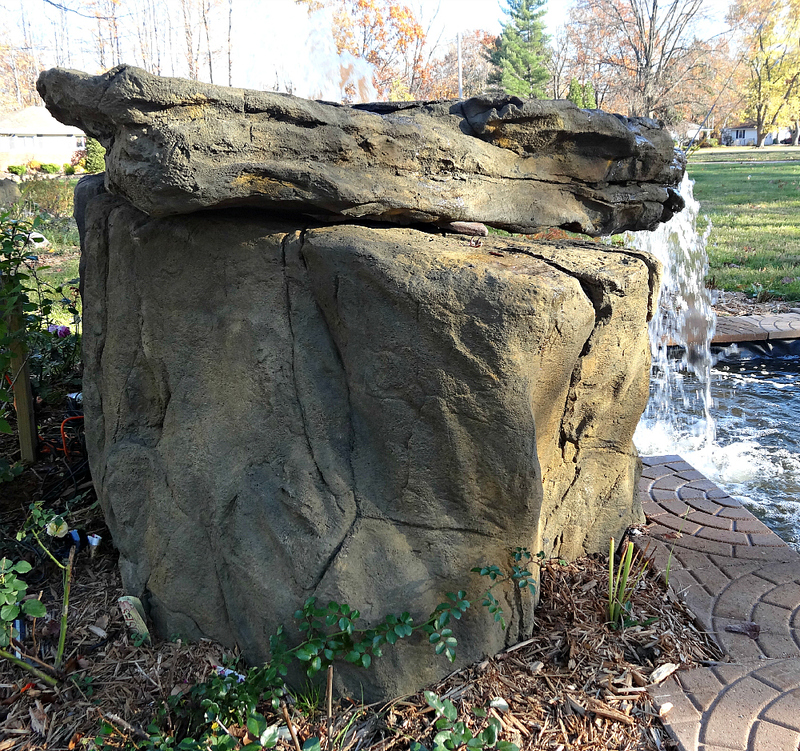 Our breathtaking grotto rock waterfalls for the backyard garden and swimming pool landscapes comes in four different size rock formations of 2.5 feet, 4 feet, 5 feet and 6 feet tall. 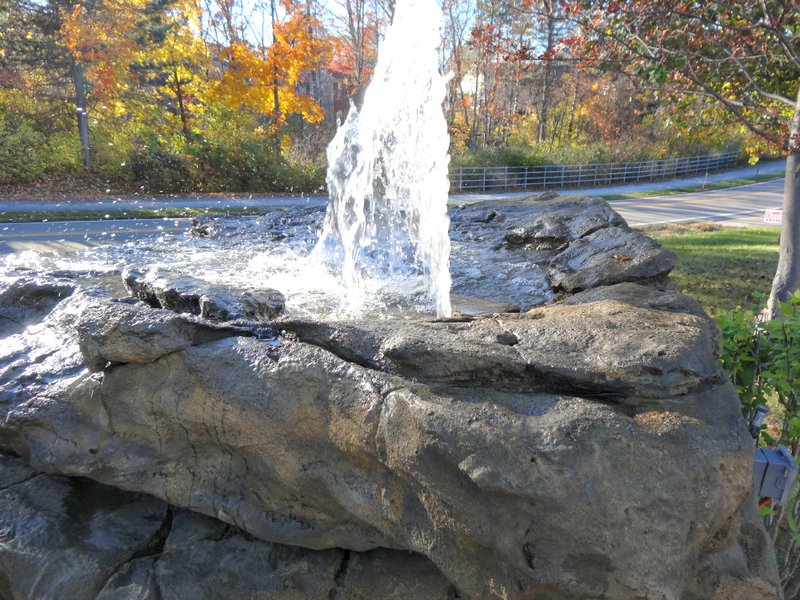 These beautiful waterfalls made from artificial rocks are constructed from a combination of polymers for excellent properties and characteristics for the ultimate waterfalls design. All of our gorgeous rocks are molded from real rock formations showing off their beautiful crevices, cracks and rock layers from nature's artwork of thousands of years of weathering and erosion sculpting. 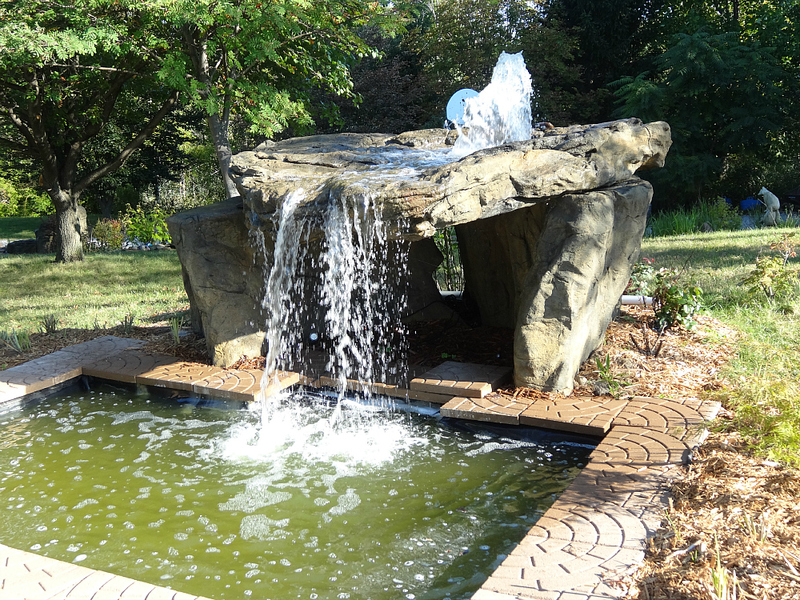 Also, our waterfall pool rocks, with its amazing rock detail has a top coating of natural oxides such as sand and rock giving these spectacular waterfalls the complete natural and realistic look. Additional waterfall rock coloration and makeup is further explained in our rock waterfall matrix. Also, if used for the swimming pool setting, both chlorinated and salt water pools can be used. 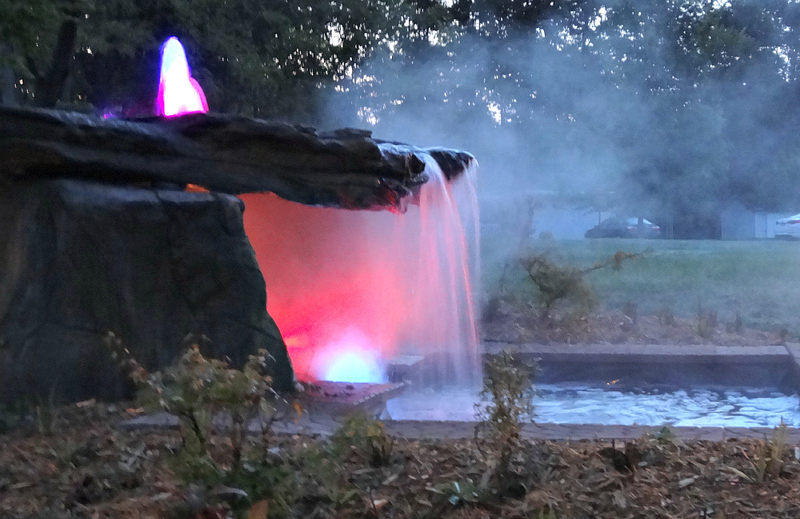 Our breathtaking backyard & pool waterfalls are an excellent addition to your outdoor landscaping decor, and will surely be the main attraction of all your family events and pool parties. 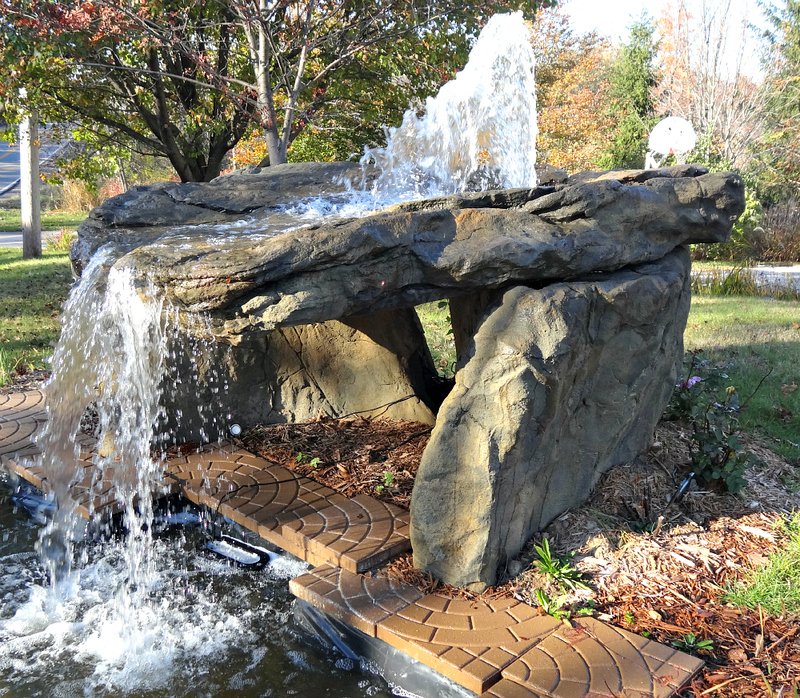 Listening and enjoying soothing and peaceful sounds of a realistic waterfalls is what makes the garden landscape all come together.